4.3L. 7.0L. 5.3L. 2018-19. 2016-19. 5.3 & 6.2L. 2.5L, 4wd. 3.0L & 3.6L. Sedan, 3.6L twin-turbo. Coupe, 3.6L twin-turbo. Without dry sump system. 6.2L without supercharger. Coupe, 6.2L, engine components. 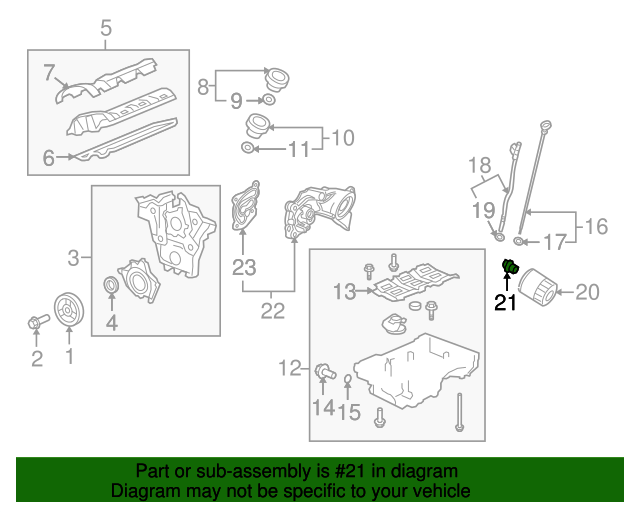 Notes: Included With Upper Oil Pan. Included With Oil Filter Housing. Included With Filter Assembly. Included With Adapter.